This topic contains 3 replies, has 3 voices, and was last updated by roy1 5 months ago. How to prevent the serialized output? It should display nothing in fields with empty values. 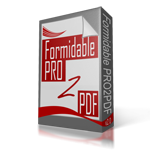 Only map the first row of PDF fields, DO NOT map rows 2,3,4,5… remove them from the field map layout. See this post for more details. Good day, I have a problem with the Repeatable Field. In pdf only one row shows.